At a time when there are sequels, prequels, remakes, reboots and re-imaginings; Fast & Furious manages the hardest of movie types – The Soft Reboot. Fast & Furious isn’t a reboot or a remake. It starts again, with a brand new jumping-on point for anyone not familiar with the films, while actually accepting and embracing everything which has happened in the franchise so far. It is clever and effective, if not exactly the most imaginative of movies. It was clear that this movie was a collaboration between the strongest aspects of The Fast and Furious franchise. The studio wanted Vin Diesel back to add some credibility to the flailing series and Vin Diesel wanted to return but only if they change what the series was. So gone is the idea of street racing and in comes the new story of drug trafficking and revenge. To it’s credit though, it is actually a better story. Not many movie franchises could pull it off but Vin Diesel’s Dominic Toretto is an interesting character. Constantly on the wrong side of the law and trying to clear his name, he is more of a legend than a man and Diesel plays him so naturally. Add to this his partner in crime in the form of Paul Walker’s Brian O’Connor, who in unlike previous instalments has actually started to act. Here he feels like more of a well-rounded character than he has done previously and a shared history between the central characters helps. Whether it wanted to become one or not, Fast & Furious is a buddy-cop movie. Two clashing styles, a mutual respect but not quite trust and plenty of times when the pair bail each other out. It has taken a few years to manage it, but Walker and Diesel have a chemistry on-screen that works effectively. It is also just enough to keep you interested in a pedestrian story. Racing has gone and drug-running is in. There is still a hint of undercover and deception to keep it firmly in the original movie’s roots but this is a film with a definitive villain rather than being about fast cars and beautiful women (although Gal Gadot manages to fill that role well). That doesn’t make the plot anything special though. It is predictable, fairly hum-drum and holds little of any surprise. It doesn’t help that there is a “secret” villain who is anything but which also removes any menace or threat you may feel towards the two central heroes. It even lacks some of the thrills from the previous instalments. The Fast and Furious franchise began to pride itself on big set-pieces but this movie lacks anything that really touches what has come before. The opening has a sequence which echoes the first movie, with a cool stunt involving a rolling truck and there is a thrilling chase through a mountain tunnel which does a good job of reflecting the speed the cars are moving but it would be fair to expect more from the fast car franchise. The film does have a singular success though and that is revitalising and reinventing the franchise. As “Soft Reboots” go, this is a clear moment where the series takes a different turn and it is a movie which effectively starts almost a new franchise. 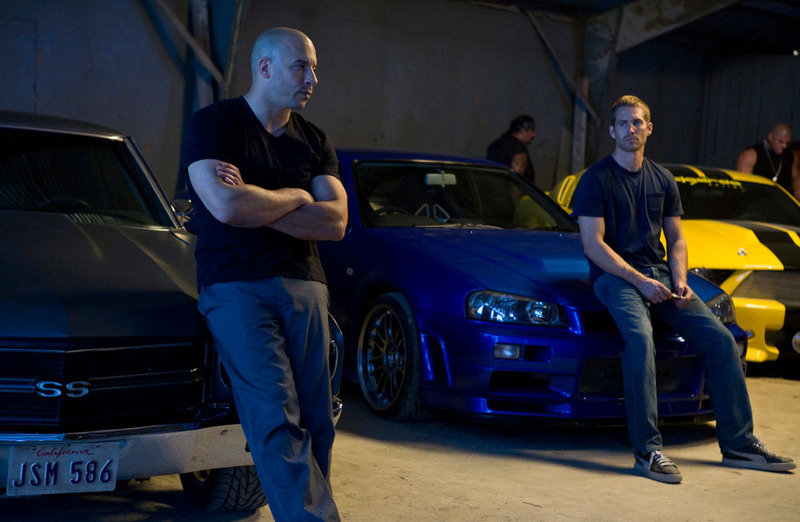 The tantalising end shows that the studio and Vin Diesel have big plans for the series going forward. hunger and drowning. Did you are aware that each and every time you run a program on your own computer it takes system resources.